No matter whether you are an experienced rider or an amateur, if you use your motorcycle to go to work or you like to ride it to feel the air brushing through your hair, you will agree that motorcycles have reached quite a level of sophistication when it comes to technology, paralleling what cars have achieved too. 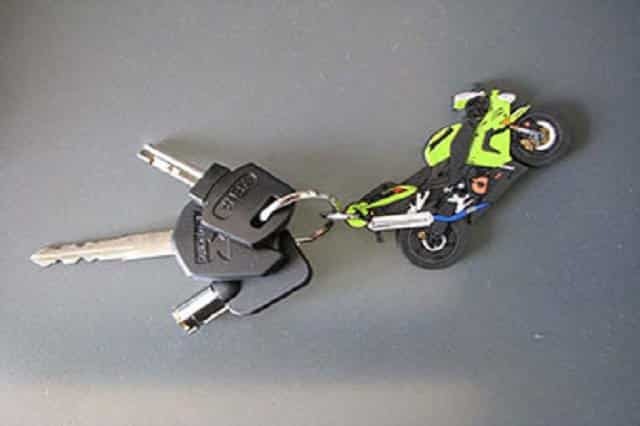 But, the same as the car, they still depend on a little piece of metal, the pièce de résistance: The motorcycle key. With this little piece of metal you can drive about on your motorcycle, but without it you are doomed. There is nothing worse than a lost motorcycle key and the subsequent hassle of motorcycle key replacement. The last stop in the history of motorcycle keys evolution is turning the corner. With the arrival of smartphones and smartwatches that use two way bluetooth connection, it is just a matter of time until we can start up your motorcycle engine with your phone or watch. Can you imagine that? The next step will be talking to your bike: “K.i.t.t., I’m around the corner, come and pick me up”—as we have seen on TV. It doesn’t mean we have to renounce the use of the good old key, the two systems could work together. In fact it is always recommendable to use them in conjunction with each other, perhaps mainly using the keyless version but carrying the physical key as a backup. Whatever the case, there is a problem that key-masters have not been able to solve, the possibility of loosing a key, but that of course has people to blame, not the keys. Do you think that will not happen to you? Just take a minute to google that very sentence and you will see that more than a million people have been in the awful situation of admitting having lost their motorcycle key. In fact the probability of you loosing your key is quite a lot higher than you think or want to admit, and it multiplies depending on the amount of family members in your household. So if you eventually find yourself in that predicament, you will appreciate our motorcycle key replacement San Diego services, but we will get to that later on. As thieves get more clever, key makers have to find ways to make their lives difficult. So, the same as cars, motorcycle keys also come with a transponder (a tiny cute chip) nestled inside. It has a code stored that is passed to the motorcycle. If it is the correct one it unlocks the ignition switch. You might be surprised to learn that when it comes to the code in motorcycle keys San Diego, neither the manufacturer nor the dealer keep a key codes database for the motorcycles. So it would not be a bad idea to have a spare key just in case. We can make one for you. Our professional locksmiths at 7 Day Locksmith have all what you need to make a new key, the diagnostic tools, blank keys, remote keys and transponders. You will have no complaint about our services. 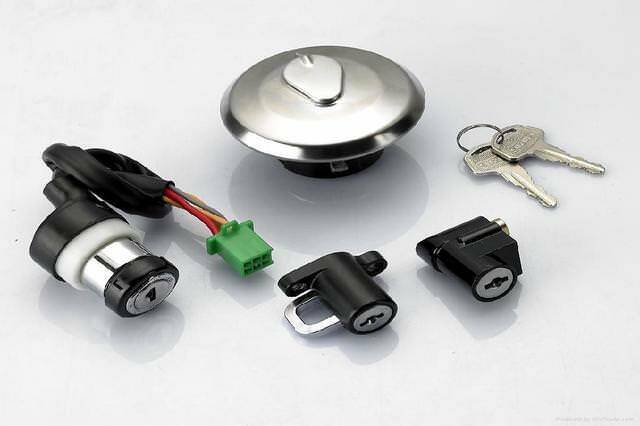 And if you are afraid that somebody might have found your key or even stolen it and could drive away on your precious motorcycle, at Locksmith San Diego we can build custom motorcycle locks for you, check our services page. How do you do it? At 7 Day Locksmith our professionals have been seasoned through all kinds of problems that our customers have asked them to solve and have come up with brilliantly ingenious solutions to all and everyone of them. As a result our customers trust us and keep calling us for assistance when necessary. We know how to obtain the code number for your key so that we can make you a motorcycle key replacement. Matching the gas cap key with the helmet lock key and the locks for the baggage. We don’t have any problem with any brand. The easiest way is to take things apart. 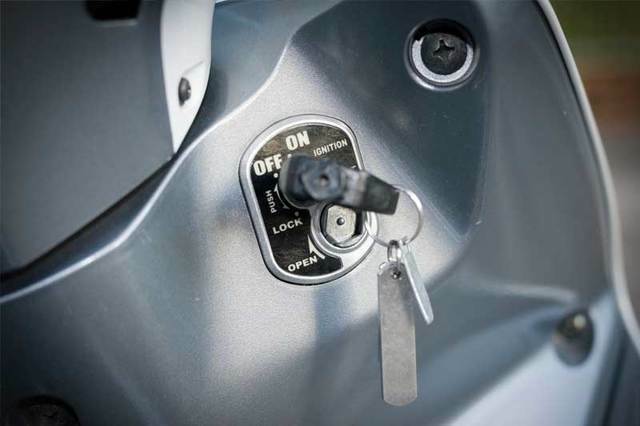 Usually we need to remove the gas cap lock from the gas tank to see the wafers—it is a type of lock, similar to a pin lock but with a different mechanism—that allows us to suss out the cuts needed for the ignition switch thus we can make a new key that will start the engine. The whole process could take up to 35 minutes. Sometimes it is a bit finicky other times it is easier. By the way, if you have replaced your gas cap or your gas tank it would not be a bad idea to verify that the key matches the ignition key. That’s the easiest thing in the world. We are just a phone call away from you. Our workshops are in almost 70 locations in all of San Diego, CA, and Orange County and Los Angeles, so in a couple of minutes our professional locksmiths could be right next to you and make a motorcycle key replacement for you. In fact, it could be that there is a shop just around the corner from where you are now. Never mind if it is at the weekend, during a bank holiday or at stupid-o’clock in the morning. We are proud to provide a 24/7 customer service so don’t hesitate calling us any time, 24 hours, every day of the year. Of course, we require the owner to be present when we do any of these services, the owner will have to show us a valid ID, and a proof of ownership. There are many other services that we can provide you, as mentioned earlier we can customise your lock so no thief can have “standard tools” to pick it. Just check out our services page and choose the one that is more convent for you. You just have to do the easiest thing in the world, give us a call!